LOS ANGELES, Calif. – February 7, 2008 – Slime recipient/movie star/funnyman Jack Black (DreamWorks' upcoming animated feature Kung Fu Panda) will host Nickelodeon's 21st Annual Kids' Choice Awards, Saturday, March 29 (8-9:30 p.m. ET/PT) — "where Hollywood meets the slime" — live from UCLA's Pauley Pavilion. Black, who helmed in 2006 and was doused then with the green goo, reclaims the reins at the 2008 "mini-Oscars" event where kids honor their favorites from the worlds of film, music, sports and television in a star-studded live telecast (tape delayed for West Coast). "We couldn't be happier that Jack is back to host Nickelodeon's Kids' Choice, and we're looking forward to seeing what he'll do for an encore on the show," said Marjorie Cohn, Executive Vice President, Development and Original Programming, Nickelodeon and an Executive Producer of the telecast. "Kids adore Jack, and his energy and unpredictability are a perfect fit for KCA. Last year's 20th milestone show broke records, but with Jack's energy and unpredictability we're expecting more surprises and more slime than ever before." Jazzed about the return hosting gig, Black said, "I had a ball hosting The Kids Choice Awards, and I'm gearing up big-time to 'take charge' of the chaos and mess again this year. After all, I'm a second-time dad-to-be. I have a lot of secret plans, and I hope to give as good as I get when it comes to good, clean, slimy-green fun." The ogre's odds to triumph grew tallest this year, as Shrek the Third nabbed four nominations: one for Favorite Animated Movie and three for Favorite Voice from an Animated Movie (Mike Meyers as Shrek, Cameron Diaz as Princess Fiona and Eddie Murphy as Donkey). Murphy also notched the list for Favorite Movie Actor (Norbit). Treasured noms went to Pirates of the Caribbean: At World's End for Favorite Movie and its stars, Johnny Depp for Favorite Movie Actor and Keira Knightley for Favorite Movie Actress. The Bee Movie made the grade with a couple of noms for Favorite Animated Movie and Favorite Voice from an Animated Movie (Jerry Seinfeld as Barry B. Benson). Two-time winner Drew Barrymore (Music and Lyrics) grabbed a nom for Favorite Movie Actress as did Jessica Alba (Fantastic Four: Rise of the Silver Surfer) and Kirsten Dunst (Spiderman 3). In television, last year's Favorite TV Show, American Idol, got the nom in a new additional category this year, Favorite Reality Show. Nominee Drake Bell gets a chance to win Favorite TV Actor for the third consecutive year, and 2007's Favorite TV Actress, Miley Cyrus, could repeat her performance and also snag Favorite Female Singer this time around, while her show Hannah Montana faces off against Drake & Josh, The Suite Life of Zack and Cody and first-time nominee iCarly. Five-time Favorite Cartoon SpongeBob SquarePants absorbed another nom and will square off against former Blimp winning animated family The Simpsons, who also turn up in the category of Favorite Animated Movie. Last year's Favorite Female Singer, Beyonce, made the list again to compete against Cyrus, Alicia Keys and Fergie, whose song Big Girls Don't Cry also is nominated for Favorite Song. Last year's Kids' Choice host and Favorite Male Singer, Justin Timberlake, nabbed a nomination in that category again, and the Jonas Brothers and Boys Like Girls are among the contenders for Favorite Musical Group. Kids will be able to cast their vote online at http://www.nick.com/kca beginning Monday, March 3 in a total of 18 categories. Surprise awards also will be announced during the show. 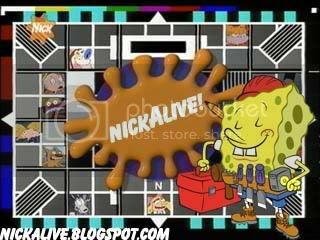 Kids also will be able to vote via the Nick mobile website (wap.nick.com). Beginning Monday-Friday, March 10-14, a different category will be featured on-air each day, and kids again vote for their favorite online at Nick.com. Leading up to the award show, TurboNick, Nickelodeon's broadband video service on Nick.com, will feature a Nickelodeon's Kids' Choice Awards playlist, along with various clips from past awards shows and current promotions for the 21st Annual Nickelodeon's Kids' Choice Awards. Mini-site features of the KCA 2008 area in TurboNick will include KCA clips, quizzes, games, mash-ups and more. On the night of the live show, TurboNick will serve as the interactive broadband home base for all things Nickelodeon's Kids' Choice Awards and will give kids an insider's look at the entire live event: on the orange carpet, backstage and at the after party. Exclusive backstage webcams will give kids control of what they want to see. Free promotional Podcasts will be available on Nick.com for various media players. These Podcasts also will be available on the iTunes Music Store (www.itunes.com) as free downloads to iPods. Nickelodeon/MTVN Kids and Family Group will host a special package of On Demand content in March that will incorporate Nickelodeon Kids' Choice Awards related content. Nickelodeon will also partner with affiliates to host Nickelodeon Kids' Choice Awards screening parties in select markets. General Mills, Burger King, Kia and Hasbro are presenting sponsors of Nickelodeon's 21st Annual Kids Choice Awards, with Dixie, Skechers and Kraft Foods serving as associate sponsors. The U.S. Nickelodeon Kids' Choice Awards show is seen in more than 205 million households across Nickelodeon's 34 channels in the U.K., Europe, Russia, Israel, Asia, Australia, Latin America and Brazil. Since premiering the first KCAs in the US in 1987, Nickelodeon has launched eight fully localized versions around the globe starting with Meus Premios Brasil in 2000 and Mis Premios Nick Mexico in 2003. Annual events now also take place in Sweden, Holland, Italy, China and Australia. Last year, two new Kids' Choice Awards debuted in the biggest television markets in Europe. For the first time ever, Nickelodeon UK brought the Kids' Choice Awards to the UK. That event was produced by Nickelodeon UK, together with the team behind MTV's European Music Awards. Nickelodeon's Kids' Choice Awards Germany took place in fall 2007. Nickelodeon's 21st Annual Kids' Choice Awards is being produced by Nickelodeon Productions in association with Bob Bain Productions. This year's telecast will feature Saturday Night Live veteran Beth McCarthy as director. Bob Bain and Marjorie Cohn are executive producers. Paula Kaplan is co-executive producer. Media outlets can reference the most up-to-date information on Nickelodeon's 21st Annual Kids' Choice Awards by logging onto www.NickKCApress.com. Host Black starred on the big screen as a Friar-turned-wrestler in the smash hit Nacho Libre and as showman Carl Denham, who captures the giant ape, in King Kong. He starred most recently in the critically acclaimed Margot at the Wedding and last year in Tenacious D in the Pick of Destiny. After earning a cult following for his comic rock-folk band Tenacious D, the actor first gained big-screen attention and won a Blockbuster Entertainment Award in High Fidelity as John Cusack's sarcastic music store clerk. He went on to prove his box-office draw in School of Rock and to win a Golden Globe Award nomination for his portrayal of a failed rock musician turned substitute teacher in an uptight private school. Black made his mark, too, starring in the title role opposite Gwyneth Paltrow in Shallow Hal and in films including The Holiday, Envy, Orange County, Saving Silverman and Bob Roberts. He was the voice of Lenny in the animated hit feature Shark Tale and will voice Po in the upcoming Kung Fu Panda. Next up, he is literally magnetic in the comedy Please Be Kind, Rewind as his character sets out to remake every film he inadvertently erases in a video store. Nickelodeon, in its 28th year, is the number-one entertainment brand for kids. It has built a diverse, global business by putting kids first in everything it does. The company includes television programming and production in the United States and around the world, plus consumer products, online, recreation, books, magazines and feature films. Nickelodeon's U.S. television network is seen in almost 94 million households and has been the number-one-rated basic cable network for 13 consecutive years. Nickelodeon and all related titles, characters and logos are trademarks of Viacom International Inc. (NYSE: VIA, VIA.B). Jamie Oliver will executive produce a live action/CGI pilot show about cooking "with a touch of magic" for children. Fresh One Productions, the chef's company, is making the episode of Made with Magic for Nick Junior. Head of Fresh One Zoe Collins explained the concept: "This is a huge opportunity for Fresh One Productions and we are dead excited about potentially producing a world class kids’ TV set in a fantasy woodland world with food as its central theme." Debbie MacDonald, Nickelodeon UK's programming director, added: "At Nickelodeon we share Jamie’s passionate belief in the power of inspiring kids to take an active interest in food and where it comes from." Oliver will be an executive producer on the pilot which will be filmed in the UK this year. Nickelodeon is to bring its interactive sitcom iCarly to UK children this March. The comedy follows 13-year-old Carly and her friends as they host their own online TV show about their adventures. Viewers can then go to Nick.co.uk to upload their own content, play games and watch clips. From spring, UK viewers will be able to upload content that will then be incorporated into the script of iCarly. The show began last September in the US, with up to 13m viewers over its premier weekend. Nickelodeon UK MD Howard Litton said, "We're very proud and excited to be introducing iCarly to the UK audiences, the show has a superb production and talent line-up, combined with a very strong plot."